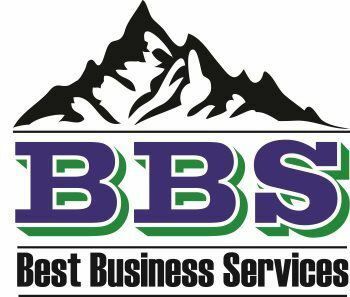 BBS will analyze all the risks inherent in your business and in your personal live and show you how decisions about how much risk to undertake can affect your estate and financial future. We specifically address how to mitigate risks with various risk management techniques and by transferring exposures utilizing insurance for life, disability and long-term care with recommendation for you about how each risk can impact your estate and retirement plans. We help you develop strategies holding title of various financial assets and insurance policies so as to have the smallest possible tax implications in your plans. Planning for you future is centered around the cash you generate today and in the future. To have resources for tomorrow, we must set aside and invest some of the cash we generate today. Some use the terms budgeting to describe the process of managing our financial resources, but at BBS, we call the process cash flow analysis since we are determining the simpler aspects of how much money comes in and how much money goes out. We work closely with you to determine financial strategies to help you increase inflows and reduce outflows of cash and to use the funds you save in the best investment alternatives to maximize your future cash resources. The cash flow process is crucial to determine the success of most other financial planning processes. Learning to manage cash today and handle where all the money goes is critical for financial success. Our financial professionals will analyze all your current income, cash flow and financial resources and will show you how your current plan might look between now and the time you want to retire. We then help you to make educated choices to attain your financial goals. We will calculate all contingencies to explore the likelihood that your retirement plans might allow you the financial freedom you desire. In many cases, we are able to discover actions that you can take now that will have a substantial impact on your future retirement plans. We realize that it is better to address you financial issues as early as possible in order to be able to attain your unique goals. BBS will show you how your estate will be impacted current and proposed legislation and provide recommendation and solutions to maximize your estate and minimize potential tax implication. Whether your estate is simple or complex, our professional experts will work closely with you to find the best available financial solutions. Our objective is for you to be able to live all of your life in the comfort and security that you desire based upon you current and projected financial resources and to grow your estate to be able to provide for all your future financial needs. For your children, or even grandchildren, we will work with you to plan for the known and projected costs of almost any college in the country so that you can remove some of the stress from this important goal. With college planning it is important to plan out not only the accumulation phase but also the distribution phase to ensure that penalties and taxes do not eat up your funds. We will help you explore every available opportunity under current legislation in order to take the most advantage of available situations. You may also be contemplating any number of future “large ticket” expenses; from a vacation to a remodel of your current home to the purchase of that dream vacation home. We will help you construct strategies to account for these items while having the smallest possible impact on your retirement and estate planning goals. Our tax professionals will work with you to minimize taxes today and in the future. We will explore every reasonable tool available to take advantage of the current legislation to maximize your after tax returns and reduce you tax burden. We will help you determine the best timing for the receipt of income or the payment of various expenses to optimize your future income and financial resources. We will show you how the decisions you make today can affect the ultimate distributions you receive from of your portfolio as other financial assets created during your lifetime. We make sure that you do not pay more than your fair share of federal, state and local taxes. BBS works with you to determine your tolerance for risk in your investment portfolio, as well as discuss your capacity and timeframe to undertake various types of risk. We engage several types of analysis to gain the best understanding of your unique issues and ideas about investing. We help you to develop an appropriate investment portfolio based upon your desired outcomes and cash flow and work with you on the monitoring and evaluation of your future success.